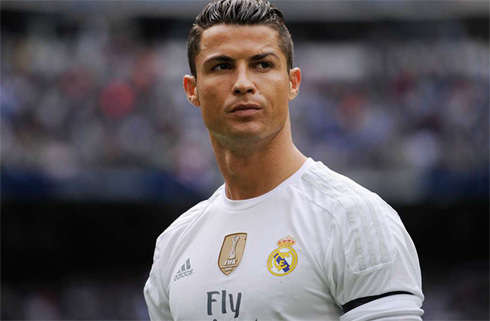 ﻿ Is Cristiano Ronaldo's influence in Real Madrid starting to wane? 28.10.2016 » Is Cristiano Ronaldo's influence in Real Madrid starting to wane? Every year this debate arises and until now, Ronaldo has been able to keep his doubters and detractors wrong season after season. How long will we see this story repeat itself? Is Portuguese star already losing his influence in Real Madrid? Ask the hierarchy of the European champions this exact question and the answer would be a resounding 'no'. The reason? He is set to sign a new four-year contract worth a staggering £385,000 a week in basic after-tax wages. That deal is designed to keep the Portuguese superstar at the Bernabéu until he is 35 and in the final years of his glittering career. But is it the right move by the club? 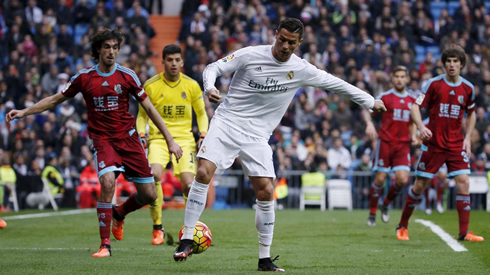 For how much longer can Cristiano Ronaldo continue scoring 40 or 50 goals per season? There is no question that Cristiano Ronaldo remains one of the world's very best players, right up there among the elite with his arch-rival Lionel Messi. However, the days when that duo were head and shoulders above the rest appear to be over because the gulf has most definitely been reduced. Luis Suarez, Neymar, Gareth Bale and Antoine Griezmann are all now comparable with Messi and Ronaldo and experts are backing Ronaldo in the 2016 Ballon d’Or for a third time, that is essentially because he tasted glory in both the UEFA Champions League and European Championship this year. 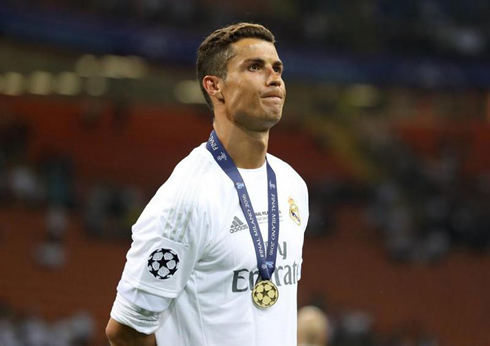 But let's get it straight – Real Madrid and Portugal did not become kings of the continent, at club and international level respectively, just because of Ronaldo. Yes, he contributed considerably to both achievements, but they were very much an all-round team effort. In the Champions League Final, when not fully fit, he was fairly anonymous before converting the decisive penalty in the shootout. And in the EURO 2016 decider at the Stade de France, Ronaldo hobbled off during the first half and was left to merely shout words of encouragement to his team-mates as they carved out a 1-0 extra-time success against the host nation France. This season, while he banged in four goals in a World Cup qualifier against Andorra, the 31-year-old has managed only the same number in eight games for Real Madrid and cut a frustrated figure as he searched desperately and vainly to hit the target in the 5-1 Champions League win over Legia Warsaw, as team-mates such as Gareth Bale and Alvaro Morata stole the show. His attitude and negative body language during that match were not what you would want to see from a player of his calibre and reputation. It’s often been said Ronaldo does not share in the joy when one of his colleagues scores and that appeared to be the case at times that night. Certainly not the epitome of a team player, he is undoubtedly very individualistic in his approach and it's possible that could undermine Real Madrid as they try to retain the Champions League title and wrestle back La Liga trophy from Barcelona. The problem is that you cannot imagine Ronaldo being challenged about it by those best placed to do so. His team-mates are in awe of him, coach Zinedine Zidane will not rock the boat and club president Florentino Perez is only waving a new contract. Perhaps the one person who can face up to the reality is Ronaldo himself. Maybe he knows he is not quite the force of old. But don’t expect him to admit it any time soon, and certainly not before the ink on that new contract has dried. Cristiano Ronaldo next game is a La Liga fixture for Real Madrid on October 29 of 2016, against Deportivo Alavés. You can watch Juventus live stream, Alavés vs Real Madrid, Barcelona vs Granada, Manchester United vs Burnley, Sunderland vs Arsenal, and WBA vs Manchester City, all matches provided from our sport stream game pages.